Artist Beth Stade has been commissioned by the Colorado DOT to create mementos for key stakeholders following the completion of the U.S. 34 reconstruction project. The $280 million project was a result of a flood in 2013, and included rerouting the highway through Big Thompson Canyon to separate it from the Big Thompson River, the Reporter-Herald reported. 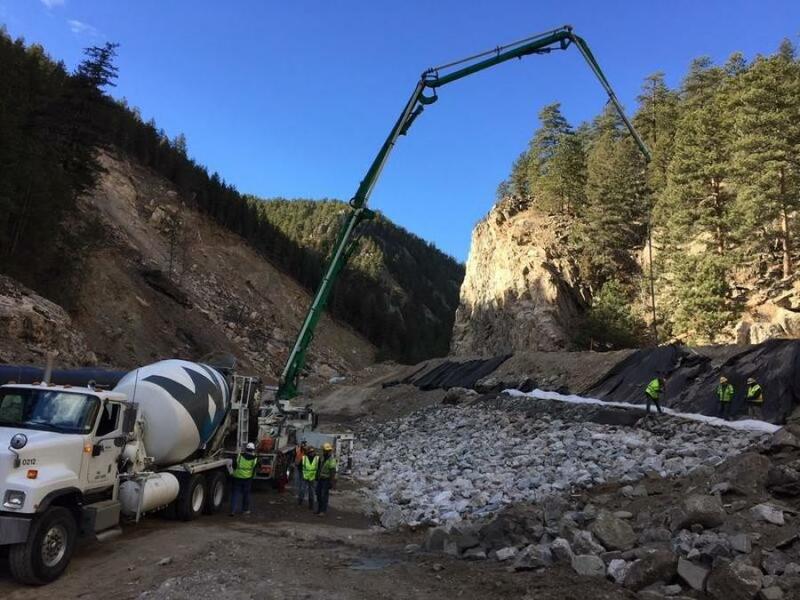 Crews blasted a section of the canyon to accommodate the road, as well as provide space for the river to disperse if another flood were to come. In addition, an added bridge now boosts the road 27 ft. higher than its temporarily rebuilt portion stood post-flood, the Reporter-Herald reported. The state's DOT approached Stade about making a series of mementos to present to dignitaries and stakeholders at the road's grand opening on May 31 after an 8-month-long closure. To find inspiration, Stade spoke with Monte Malik, the project's construction manager, about the theme of resiliency in the construction of the new portion of road. For his part, Malik provided Stade with a portion of guardrail to use from the old highway's horseshoe curve. Stade's mentor, David Norrie, split the rail in half lengthwise and then cut over 120 pieces from a 20-ft. section, the Reporter-Herald reported. Then, Stade cut out an outline of the river into each piece before she and Norrie forged the steel, bending it to create a shelf for holding cellphones or business cards. Finally, they added a lacquer finish. Stade said the pieces serve as a representation of the resiliency of local residents, the road and the river. “This was just something beautiful and organic,” Stade said.